Stringent regulations on TSS and phosphorus removal are causing many treatment plants to consider installing new tertiary filtration or improving their existing filters. 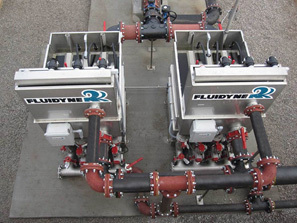 The Fluidyne fixed cloth filter offers a low maintenance, minimal headloss solution to these regulations. No Moving Parts: The fixed plate cloth filter does not require the media to be rotated to be cleaned, thus eliminating any drive motors, chains, belts, or sprockets. Reduced Maintenance Items: No backwash pumps or spray bars. 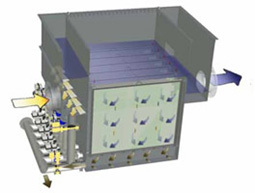 Additionally, the filter media can be removed from the system without draining the tank or diverting the flow. 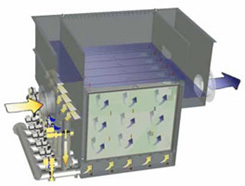 Flows ranges from 10,000 to 1,200,000 GPD per unit.